While a group of would-be dragonslayers point their spears at this dragon, the dragon is enjoying a nice book and a smoke. What story will you tell about this oddball scene? 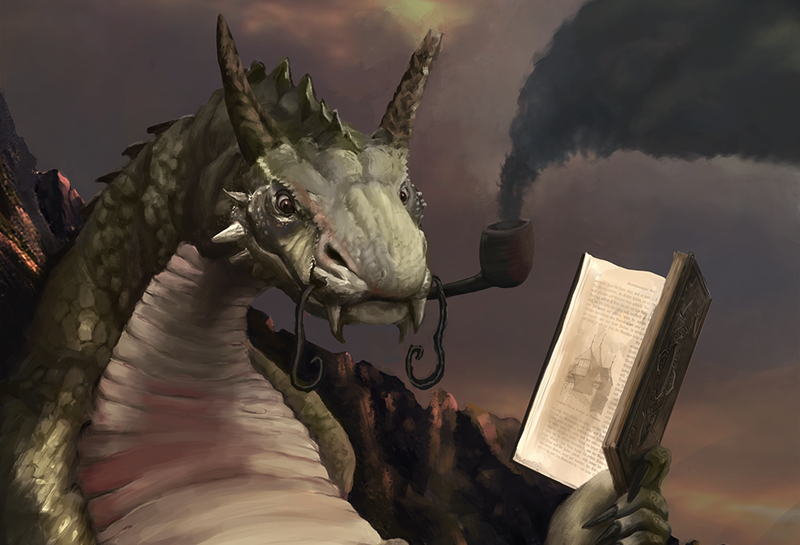 This week's writing prompt, Book Reading Pipe Smoking Dragon, comes courtesy of artist Khurrum Maqbool. As always, we invite you to come up with your own story inspired by this image and post it in the comments.